Audi has signed an exclusive four-year agreement with Tottenham Hotspur Football Club as the club’s official car partner. The move will see Audi’s four rings branding feature across digital signage, including the LED advertising system, big screens and the interior TV network at the football club’s new stadium. This will also be seen across Audi’s digital media channels. To mark the beginning of the partnership, players were given a special preview of the Audi Q8 luxury SUV at the Tottenham Hotspur Training Centre, Enfield, before the car’s official UK debut. According to a statement, the partnership was made as both Audi and Tottenham Hotspur shared “similar positive and forward-thinking philosophies”. 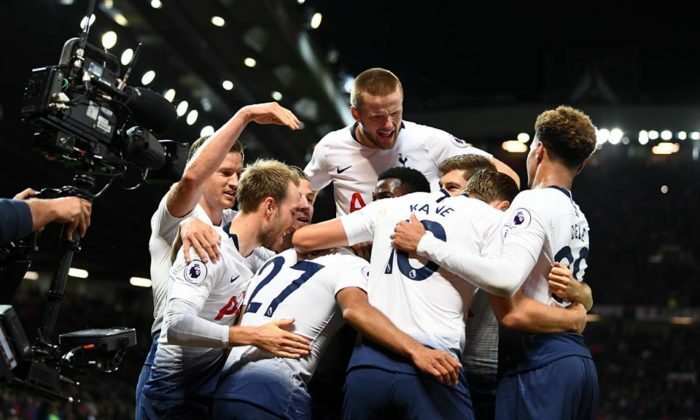 Tottenham Hotspur is the latest club to join Audi’s portfolio of football partners, which includes German club Bayern Munich, Spanish club Barcelona, and European club Real Madrid. “The partnership brings two progressive brands together. Our shared principles of beautiful design and the most advanced technologies further cements our belief that Audi and Spurs will be the perfect marriage,” Andrew Doyle, director of Audi UK said. “Audi is a premium brand, so we are delighted to have it on board alongside a number of other leading club partners. We look forward to welcoming Audi and offering them the opportunity to showcase their products across the Club,” Fran Jones, head of partnerships of Tottenham Hotspur said. Previously, smartphone company LEAGOO inked a a five-year official partnership contract with Tottenham Hotspur starting from 2017 to 2022. According to a press statement the contract is worth over a million pounds. IMAX and other strategic investors raise funds to help finance the creation of at least 25 interactive VR content experiences over..